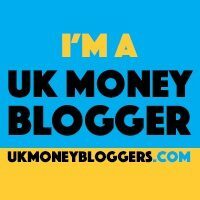 You are here: Home / Personal Finance / Is the National Lottery still worth playing? On Saturday, 19 November 1994 I sat in front of the television with a National Lottery ticket in hand as the the first ever ball was released. To my surprise at the end of the draw I was no richer and left deflated in the fact that it would be another week until I became a millionaire. Fast forward to 2016 and I’m still a participant in the rat race waiting to benefit from the freedoms that winning the lottery will give. I was one of those players that unfortunately had a set of numbers that I knew off the top of my head. I checked the results regularly and so was caught between a rock and a hard place. In 1997, Camelot, the operator of the lottery then introduced the Wednesday draw and now Camelot was going to get another £1 a week from me, but it didn’t matter, I was going to be a millionaire. When the lottery increased the price of a ticket to £2, I started to waver whether I could afford to continue to play the lottery, but how could I stop, I knew my numbers. If an increase in ticket prices was not enough, late in 2015, 10 more balls were added to the weekly draw increasing the odds of winning to 45 million to 1 from 14 million to 1. As strange as it might seem I started to playing by direct debit and this has been a blessing in disguise. I’ve forgotten my original numbers (luckily they where not loved ones birthdays or house numbers) and as Camelot check the numbers and email you if you’re a winner, I no longer need check the results again, so even if my numbers did ever come up, I would never know. So am I going to stop playing the lottery? No, I know the odds are against me and the likelihood of me ever winning are minimal, as they were for the Wears in 2011 when they won £161m, the Bayfords in 2012, when they won £112m and Neil Trotter in 2014 when he won £107m. So I’ll stop playing as often, but when the jackpot get so high, I might just have a flutter, besides it only takes one line to win and we all have our dreams of how our lives would change if our numbers were ever drawn.